A better customer experience could help you attract and keep more customers, and sell more to the customers you already have. Experience was the word of the year in 2015. 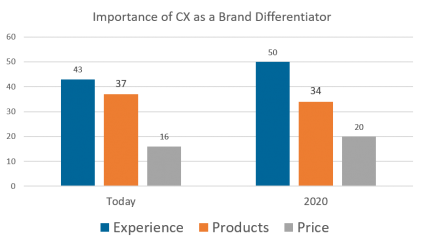 You probably already know that customer experience (also commonly abbreviated as CX) is important. You might even have an idea of what works – and what doesn’t – in the customer experience your business provides. Or maybe you don’t. Maybe you’re so busy doing business that stopping to find out how to do more business with a better customer experience hasn’t happened… yet. But how much time do you have? Retailers all across the US are pulling back, closing locations, scaling back and some even closing their doors for good. One school of thought is to blame retail and ecommerce winners for taking business away. A better school of thought is to realize that consumers vote every day with their wallets for the businesses that have earned the right to survive and thrive. For nine out of ten businesses (89%), their primary point of differentiation is customer experience; meaning, the services and products they offer are roughly equivalent, and are offered at comparable pricing to their competitors. So there’s no time like the present for building a better customer experience. Here are some places to start. When was the last time that you actually asked someone who bought from you how it went? How about the people who work for you? You probably won’t even have to beg. Once your customers and staff realize that you truly value their opinion and you’re prepared to act on what you learn, they’ll readily contribute constructive ideas you can use to design a better customer experience. Front line employees, in particular, should be your best source of learning, even more so than customers. They see the experience over and over, day in and day out. They probably know where customers get stuck or slowed down and they might even know what makes a customer walk away. You’ve got employees. Investors. Loyal customers. Friends. Family members. Peers. Networking associates. Somewhere or another you’ve got people in your orbit who can serve as a focus group. 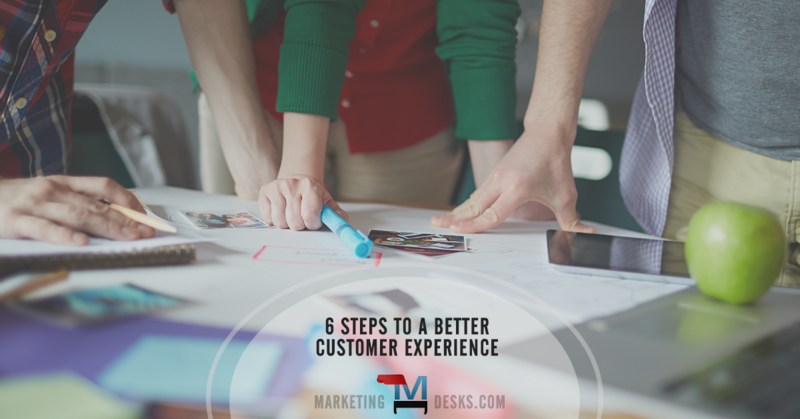 This group can walk their way through your customer experience, scrutinize it, dissect it, discuss it, and offer suggestions on how you can make it better. Borrow their time and input to identify CX improvements. If you’re not visiting and even buying from competitors in your industry – especially competitors who are killing it – you’re missing out on some of the most practical research you could do to build a better customer experience. When your competitors are kind enough to show you something that works well, use it. Iron sharpens iron. If your competitor is doing something better than you at one or more customer touchpoint, replicate it or replace it in your own CX with something even better. Employees, and even customers, may not tell you things you don’t want to hear. They may not have the breadth of experience to pinpoint what is sub-par in the customer experience or offer solutions for making it better. Hiring a consultant might seem expensive, but a knowledgeable consultant who is willing to tell you things you don’t want to hear and who is able to bring you insights and information you need to improve CX is priceless. Plus, 55 percent of customers say they would pay more to guarantee a better customer experience. 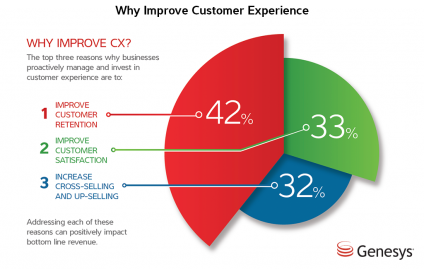 Improving CX at your business could increase revenues by helping you attract customers, retain them, and sell more to them (add-ons, cross-selling, up-selling, etc.) So investments made in the right consultant and the right customer journey improvements could pay off over and over, returning the investment made and more. As a young business grows lessons are learned. Instead of saying, “If I had to do it all over again…” be willing to rework the customer process from end to end, if that’s what’s best for the customer. Two or more options for building a better customer experience? That’s great! Why choose? Set up your own A/B testing scenario so that you can see which works better. Give customers a chance to experience the journey both ways and tell you what they prefer. 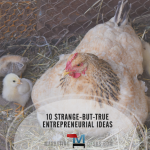 You might find that an idea you thought was best didn’t play out that way, and vice versa. As you experiment, look for ways you can tweak the improvements so they, too, become even better. You might also like: What Does an Ideal Customer Experience Look Like, Anyway? This Genesys graph shows the top motivations behind improving CX, although doing what’s best for the customer is in and of itself a strong motivator for many entrepreneurs. You’ll find that genuine empathy for the customer drives many policies in companies that are thriving in today’s marketplace. Engaging customers requires your commitment, too. 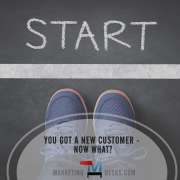 So You Found a New Customer, Now What?